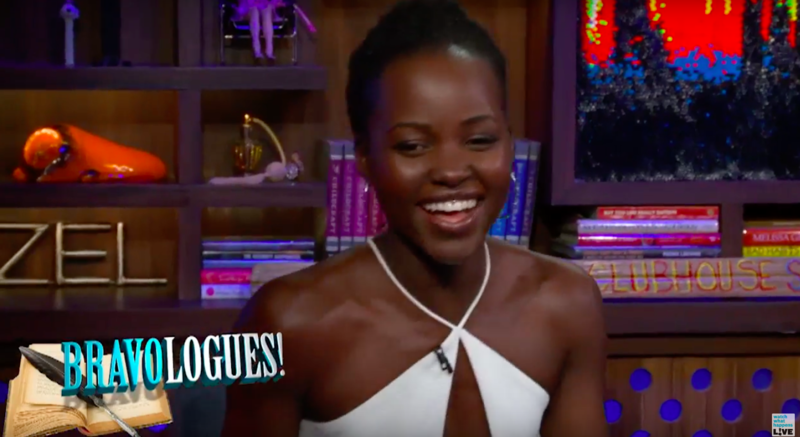 Lupita Nyong’o and David Oyelowo appeared on Watch What Happens Lives , which turned into a Bravologue Competition, and oh my, our day has been MADE. Alternately performing lines from Bravo’s reality TV shows like Real Housewives and Vanderpump Rules, the two take turns being their snidest, most vapid selves, and the results are hilarious. But once again, Lupita finishes it strong with just the right amount of bit and sass. Again, David reaches into his accent box and pulls out a perfect valley girl. Host Andy Cohen can barely contain his glee at watching these award-winning actors sink to reality tv level, and neither can we. It’s so dang funny.